We are currently working on a project for a family whose tween daughter has inspired us with her request for a "Tiffany Blue" room. The color of that amazing little box is such a perfect shade that we are planning to use it in some of our other upcoming projects. 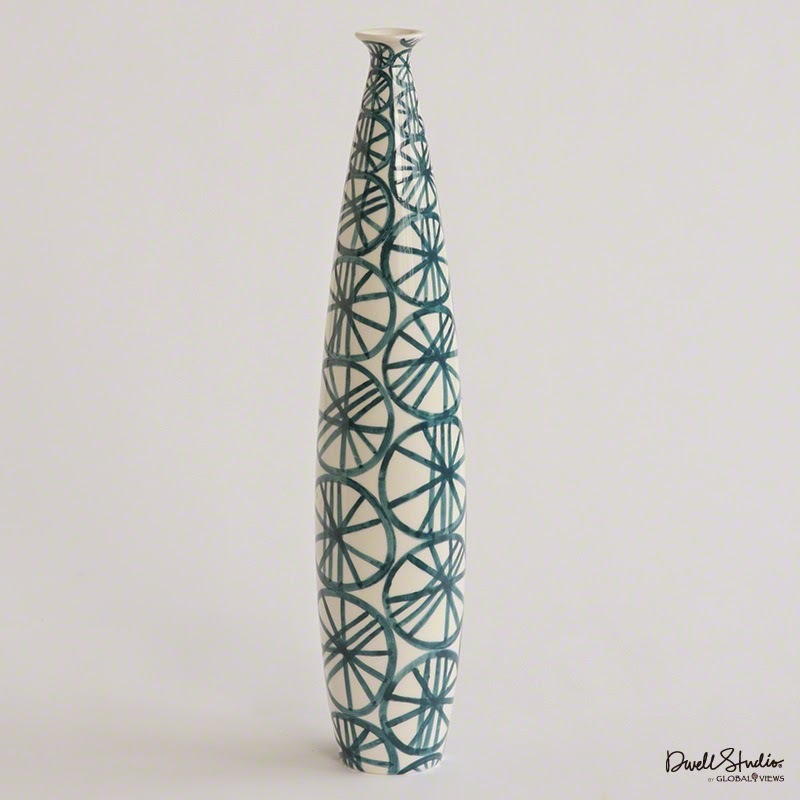 The Pantone color for Tiffany blue is #3252. Sherwin Williams has this paint color called 'Surfer' which is considered 93% accurate. We have been doing some great research and found these amazing products in that signature cyan shade. What we love about this color is how easily it can be incorporated and breathe life into a space. 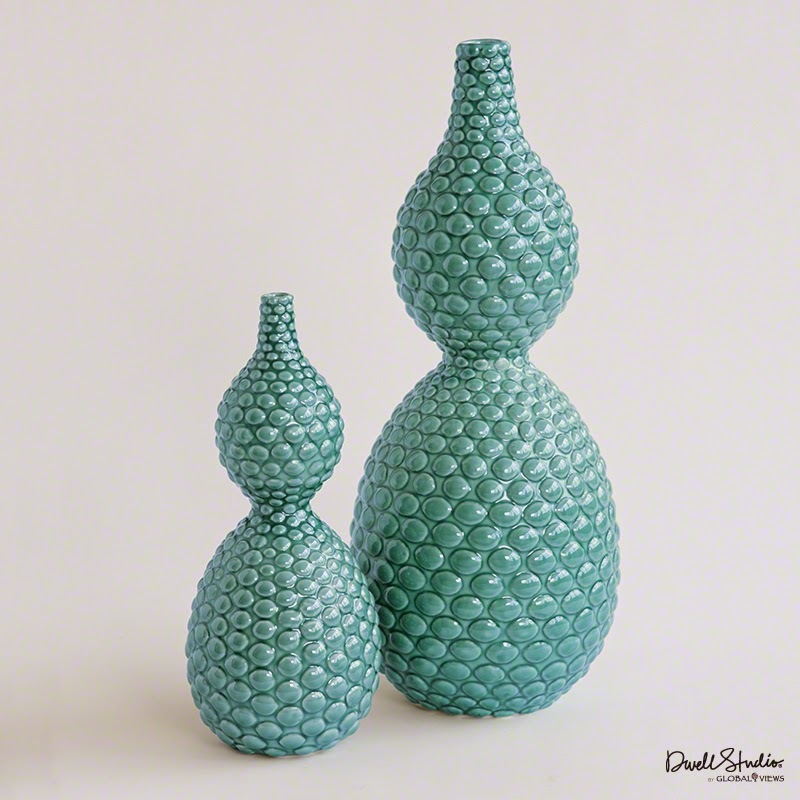 These vases from Global Views have beautiful, sleek lines with fabulous patterns and textures. 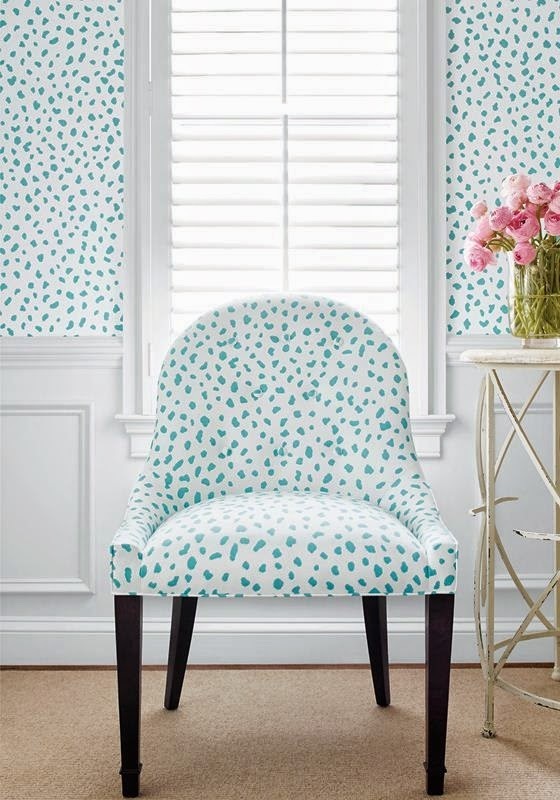 Thibaut has several gorgeous patterned fabrics and wall coverings featuring this fabulous color. 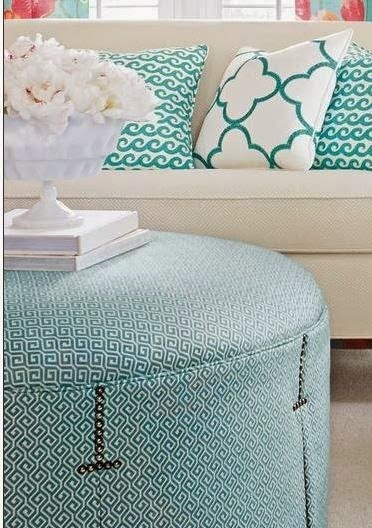 We love the use of different fabric patterns on this neutral sofa paired with the beautiful ottoman. The wall paper to upholstery patterns and luxury fabrics are somethings Thibaut is famous for.